IFSEC – has it had its day? CCTV insider is not very happy by the sounds of things, how does he know all this stuff? We don’t know…. but does he have a valid point below? You decide and let us know what you think. 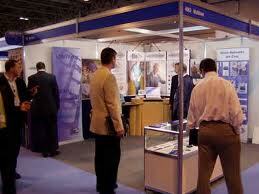 Has IFSEC had its day? Is it just simply a ‘big boys club’ where the corporate giants show how big they can build their stands and how much they can put on their corporate credit cards? does anyone care anymore if a company ISN’T exhibiting? It used to be quite a stigma……’Ooh, Norbain aren’t coming, are they in trouble’…..followed the year after by ‘Ooh, Norbain are coming, are IFSEC in trouble’……..
Who cares……there are plenty of more meaningful and specific expo’s to attend……Railtex, HOSDB, Counter Terror etc…..exhibitions that actually focus on specific issues, with specific attendees and specific exhibitors……no disrespect, but I am sick of visiting ‘Little Far East’ to see stall after stall (yes, I mean stall because it’s like a flea market) of ‘the Number 1 DVR’ manufacturer…………. there are more ‘Number 1 DVR’ manufacturers than Number 2……and that’s worrying at $49 a time……..
Nope, I’m staying away, nothing to see, nothing to learn, decent manufacturers will bring their technology to me, decent distributors should be already showing me their latest products…… I don’t need to travel to Birmingham and pay £8 car parking for the privilege!!! Strong words but is he right?? The power of Google....or not? This entry was posted on Monday, April 18th, 2011 at 01:18	and is filed under CCTV. You can follow any responses to this entry through the RSS 2.0 feed. Both comments and pings are currently closed.